Professional Association of Therapeutic Horsemanship International (PATH) offers a three-level certification program for therapeutic riding instructors: Registered, Advanced, and Master. The PATH certification program is a widely known and respected. There are three pathways to Registered (entry-level) certification: attending a PATH approved training course, attending a PATH member college or university, or an experiential path that includes online coursework, teaching under supervision, on-site workshops, and an on-site certification class. Candidates must complete 2 online exams, attend the workshop and certification class, and have at least 25 hours of teaching under the supervision of a PATH instructor. The application fee is $60. For Advanced certification, a candidate must be an Individual or Registered member, have taught riders for at least 120 hours at a PATH center, have completed a workshop or training course within the past two years, and submit a resume and references. The certification itself requires a written exam, riding demonstration, lunge line demonstration, and a lesson demonstration. The certification fee is $1,000. For Master certification, a candidate must already hold Advanced certification, have four years of experience with a PATH center, have at least 400 hours of teaching experience, and have at least two years of service to the PATH International organization. They must also provide references, a professional resume, case studies, and video footage. There is also an oral evaluation that must be successfully passed. The certification fee is $1,000. The American Hippotherapy Association (AHA) offers the Certified Hippotherapy Clinical Specialist designation to physical therapists, occupational therapists, and speech and language pathologists. Those who become certified may use the initials HPCS (Hippotherapy Professional Clinical Specialist) in their credentials. Applicants must have been in practice for at least 3 years (6,000 hours), have at least 100 hours of hippotherapy practice within the last 3 years, and pass a multiple choice exam. The certification fee is $275 for AHA members and $375 for nonmembers. An entry-level certification is also available to physical therapists, physical therapist assistants, occupational therapists, occupational therapist assistants, and speech and language pathologists. Applicants must have been in practice for at least 1 year (2,000 hours), have 25 hours of treating patients using hippotherapy, complete AHA Level I and II skills courses, and pass an exam. The certification fee is $250 for AHA members and $350 for nonmembers. The National Council for Therapeutic Recreation Certification (NCTRC) is the recognized accrediting body for therapeutic riding instructor certification in Canada. The NCTRC offers the Certified Therapeutic Recreation Specialist (CTRS) designation to qualified applicants who meet the prerequisites and pass an exam. Applicants must have a baccalaureate degree and practical experience in the field. Exams are offered in January, May, and October. Locations for the exams include Canada, the United States, and Puerto Rico. Full details are available on the NCTRC website. 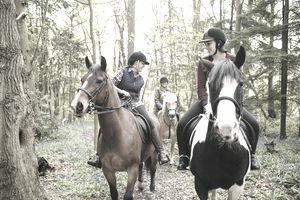 The Association of Chartered Physiotherapists in Therapeutic Riding (ACPTR), located in the United Kingdom, offers a hippotherapy course designed for physiotherapists. Applicants must be members of ACPTR, have full membership in the Chartered Society of Physiology, have at least one year of professional experience as a physiotherapist, and submit a skills assessment checklist. The course itself involves two four-day training modules that are scheduled six months apart. There are also written assignments to be completed in advance of the hands-on coursework. The hippotherapy course fee is 1200 GBP (approximately $2,000).